I didn’t really love the original Hellboy movies. Love the comics, but the movies? I was lukewarm. I mean, they were okay, and there was an air of fun to them. But it was one of those things where it felt like it was too far removed from the source material. “Any resemblance to the actual comic book is strictly coincidental”, you know? Ron Perlman was undeniably great; I’d watch him play Hellboy all damn day. But even though they tried incorporating fantasy and mythological elements, it still came across as a bit too super-hero-ish to me. Which I generally love! But… not for HELLBOY, you know? And the first one had that weird, shoe-horned-in character to act as the viewer’s perspective that wasn’t really required. It was a minor gripe. I guess they were entertaining, and I am hopeful of the prospect of remake coming out with David Harbour. They were solid B+’s. Maybe they just needed more of Pearlman yelling “BOOM” when he punched things. Let’s see if Harbour will! Oh, and as an aside: When I saw the second Hellboy movie in theaters, it was cut together wrong somehow, so that all the scenes from the first 40 minutes of the movie were out of order. I remember watching it and thinking “Wait, that guy died; when did he come back?” or “They already worked with him, why are they just being introduced to him?” It was a bit trip, but fortunately the back half seemed to be in order. Can’t say I have ever had another movie experience quite like that. Antagonists: Dead evil people, monsters, you know… hell stuff. First things first… it is glorious to have Mignola back to penciling HB. The last few story arcs before his death were handled by Duncan Fegredo, and while his work was fine, Mignola’s is what I want to see when I open a Hellboy book. I can totally see if someone is to say they don’t like Mignola’s style—it’s certainly unique—but for my money, I’d read books drawn by him all damn day. When I found out Mignola was back at the pencil, I was on board for the In Hell series. With Hellboy having died in the previous story (his heart was pulled right out of his chest by a ghost), Mignola rechristened the book Hellboy In Hell and continued on the character’s join as he finally went back “home”. Even in death, Hellboy can’t find any damn peace (though to be fair, it IS hell, so what did he expect? ), and he has frequent run-ins with a cast of characters both familiar (a small demon who had helped him on Earth; a few of his vanquished enemies) and new (his two brothers, an uncle, and a sister, who are none too excited for a reunion, amidst a cast of other monsters, tortured souls, and Satan himself). Mignola’s Earth was fertile with wild ideas, and his hell is obviously no less creative. 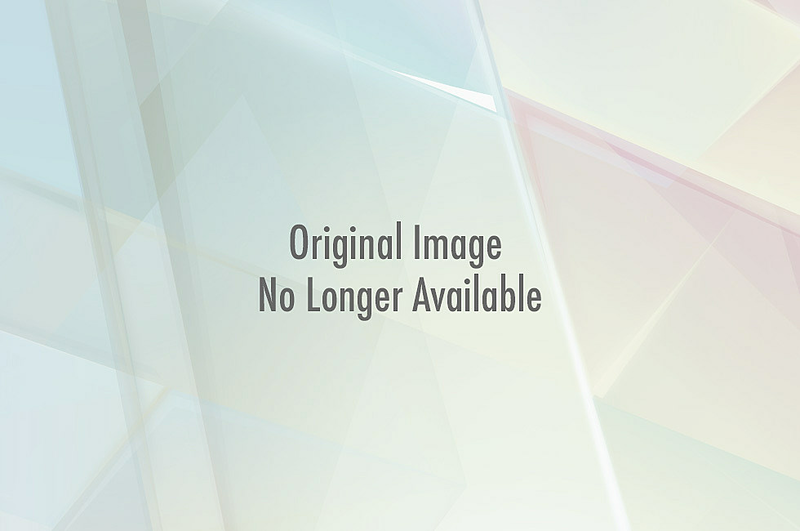 In just two volumes of the series, it is certainly expansive. Hellboy bounces from basic village-like settings to an enormous frozen lake to an abandoned Pandemonium (the capital city of hell from where the elite are fleeing). One locale that stood out was a river of fish crying out for mercy; these lost souls swimming in despair forever… unless snared by the great fisher, an ancient being who forges these fish into the army of hell. Mignola’s world-building, man. Hellboy is as humorously aloof in death as he was about most of his life; his final words to the first collected trade are his asking other wayward souls if they know a place to grab a drink. He remains uninterested in his fate or what is expected of him, even as agents of the afterlife continue to position him to where they think he needs to be. The only great concern he shows is when he is reminded that after arriving in hell, he assassinated Satan despite having no memory of doing so, and the fallout of that act hangs over him throughout his journeys. He has a moment of self-pity where he ponders aloud if he is happy that his… life? soul?… was saved by another denizen of hell, but aside from that, he just tries to make the best of the worst imaginable situation. Aside from the new setting, this does in fact read a lot like a standard Hellboy yarn. HB moves along from setting to setting while mysterious forces far from him discuss his role in the universe’s destiny and his ability—or lack thereof—to move beyond it. He encounters fantastic creatures and bests them (sometimes through his own abilities, sometimes through help from another, and sometimes through blind, dumb luck) and helps out those who are running from their own demons. So you can take that one of two ways: it’s either a disappointment that after this radical event in Hellboy’s life that the story tone remains so much the same, or it’s a pleasant surprise that the title did not take too crazy or dark of a turn when veering into such new territory. I’ll run with the latter myself; I have always found Mignola’s storytelling to be unimpeachable, and even all these years later, I want more after I finish each issue. 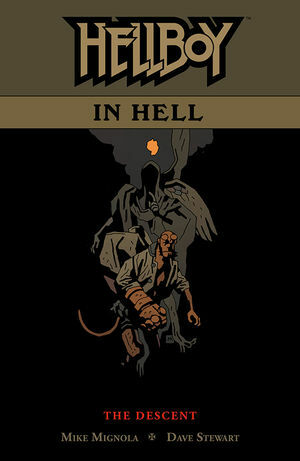 Two volumes into the series, Hellboy In Hell remains as engaging as any previous Hellboy saga. The mystery behind the murder of Satan is definitely interesting because Mignola has gone out of his way to show everything between HB and Satan BUT the act of killing. I’m invested in that storyline; was Hellboy forced to do it, or is it a frame-up? And for either of those… to what end? Talking Point: My excitement to have Mignola back in his artist pants is inspiring this one: What artists that have an unusual or very distinct style do you find particularly enjoyable? Hellboy has been a fascinating title and character since his debut over 20 years ago. Mignola’s storytelling combined with his well-researched grasp on mythology and folklore continue to be top shelf. Read it; love it. Stew, Man, you seem to know your Hellboy-Stuff, so maybe you could do me a big solid – as i always wanted to dig in the Hellboy-Books, but never really did. So, the years went on an on, and there where more and more stuff, and everytime i was thinking, ok, now is the time for collecting Hellboy, i did´nt now where to start, and what to collect. If you can tip me off, what essential trades there are – or if you, as an obvious expert, can recommend a website, where i could find such a list, i sure will buy them all. Tomorrow! Seed of Destruction is the first story. This introduces you to HB, Ape, Liz, Prof Broom, Rasputin, and the frog monsters who are VERY important if you want to get into the BPRD book. Pretty integral. BPRD is a good book, but if ou just want HELLBOY, he ain’t in it. Wake the Devil is the second story. It introduces a lot important characters like Hecate, Baba Yaga, and Roger. It’s also good. The third and fourth trades are The Chained Coffin and The Right Hand of Doom. They’re a bunch of collected stories from HB’s life. They’re not important, but I love the short story work Mignola does. Really builds the world. Next up is Conqueror Worm, and it is the last story with HM in the BPRD before he leaves them. So it’s important if you want to see why/how Hellboy strikes out on his own. Strange Places is the 6th trade. It’s made up of two smaller, in-time stories “The Third Wish” and “The Island”. The Third Wish was the first HB book I ever read, and I loved it. It’s what brought me into Mignola’s world. Not important, but fun. Another short story collection is next, The Troll, The With, & Others. Darkness Calls is the 8th trade. IIRC, this is the first books that really starts setting up the death of Hellboy eventually. Hellboy fights Baba Yaga. Next trade is The Wild Hunt. I think it’s the longest single story, too. This builds up a lot of HB’s origin, and continues the march to his death. Trades 10 and 11 are more short story collections. Again, not necessary to the ongoing story, but they fill in some details and are wonderful tales. And the 12th is The Storm & The Fury, which is in the one where dies before the “In Hell” series takes over. Thanks a lot, Man! Will place my order within the next hour! How many Trades for the BPRD stuff? Should i? I looked it up, while i was ordering the Hellboy trades. There are 16 trades of the „regular“ series and 15 more (Hell on Earth). Too many!